Even with the numerous advantages of mechanical pencils, there are still those who love the old school feel of wooden pencils. And Andrew Pyza’s love for traditional pencils spurred him to create Pencil+, a pencil holder which extends the life of your pencil while providing a built-in sharpener. 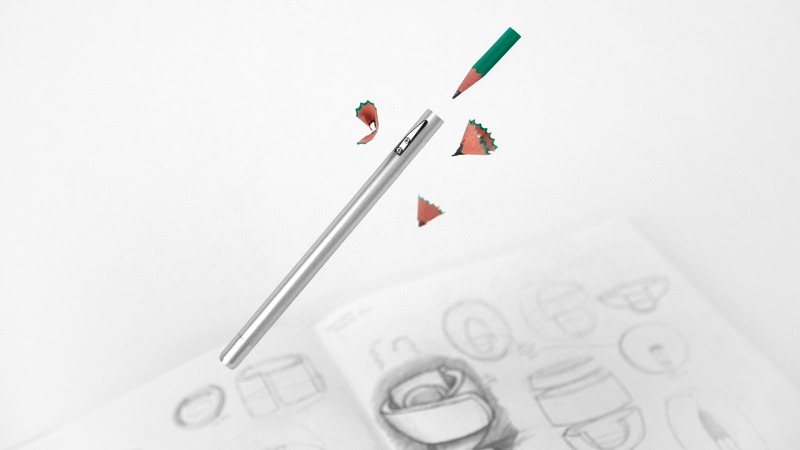 The origin story of the Pencil+ is too funny not to share. Been there? Many have. Andrew realized it’s a problem and that others may feel the same–the seed was planted. A couple sketches and a few years later, he was finally able to make the pencil holder + sharpener + extender of his dreams. 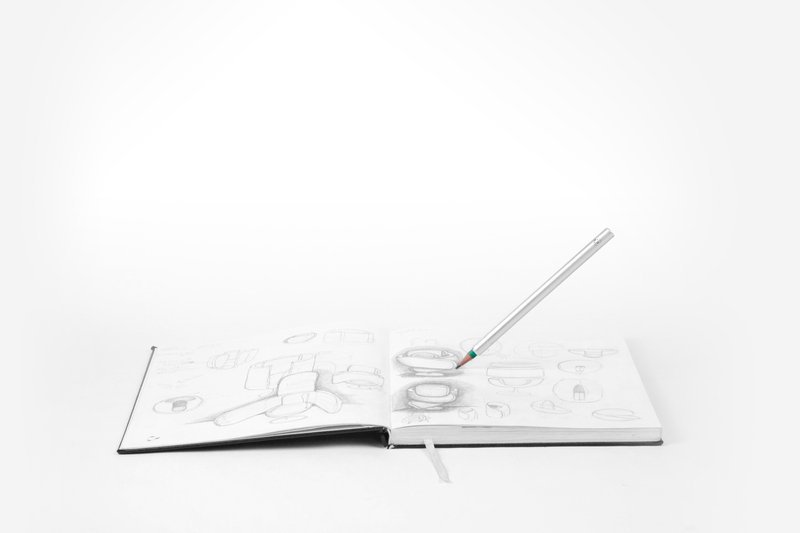 The goal of the Pencil+ is to remove the hassle of using a pencil – to, in a sense, always stay connected to your pencil. I don’t mean this in a WiFi sort of way; I mean this in a physical way. Because pencil sharpeners are never attached to the pencils themselves, they have a potential to go missing. Since the Pencil+ holds your writing apparatus at all times, this solves the problem naturally. Another feature is the pencil extender – which consists of a clasp that keeps a pencil in place. When holding a short or stubby pencil, this makes it possible to use it all the way to its final piece of lead. Once a person is done drawing, they can reverse the pencil and store it within the pencil holder. 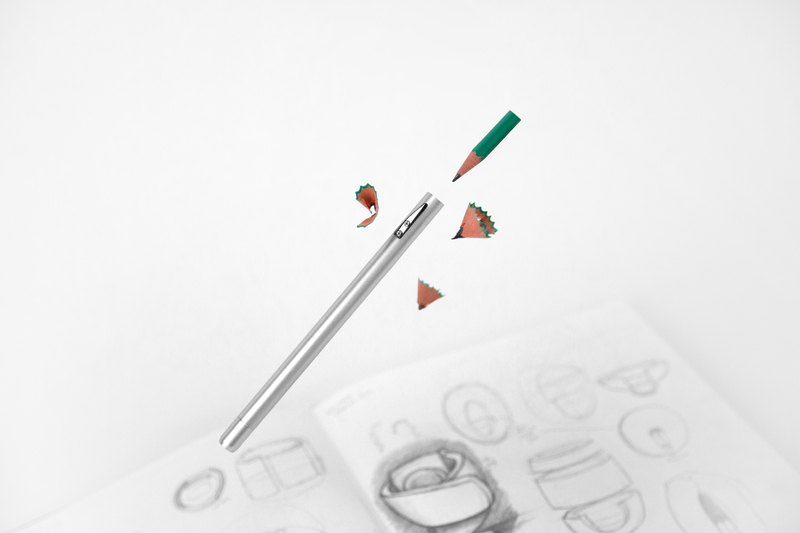 It’s a bit more complicated to use than a mechanical pencil, but if you prefer traditional pencils, this will provide the longevity you need and reduce waste along the way. Along with using up the entire pencil and onboard sharpening, the sharpener’s blades can also be replaced when they get dull. The entire package is well-designed with the thought Andrew put into each detail very apparent. Even down to the packaging. 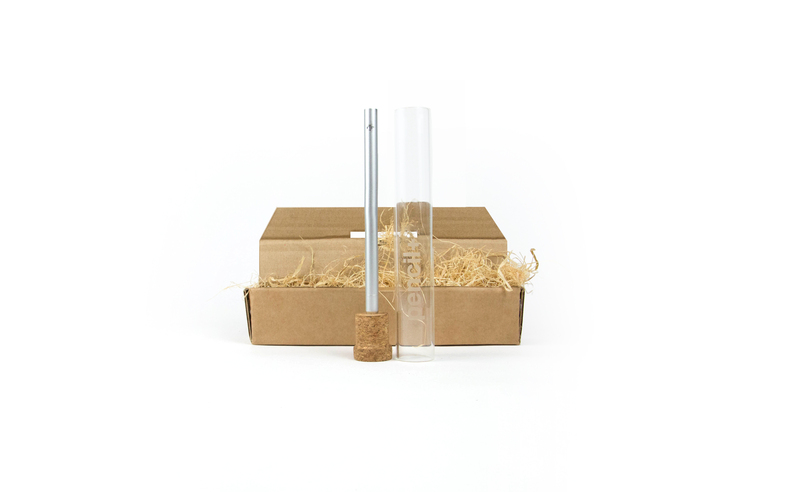 While the pencil holder is made of aluminum, its test tube-like packaging is composed of glass and a cork which has a magnet that keeps the Pencil+ in place. 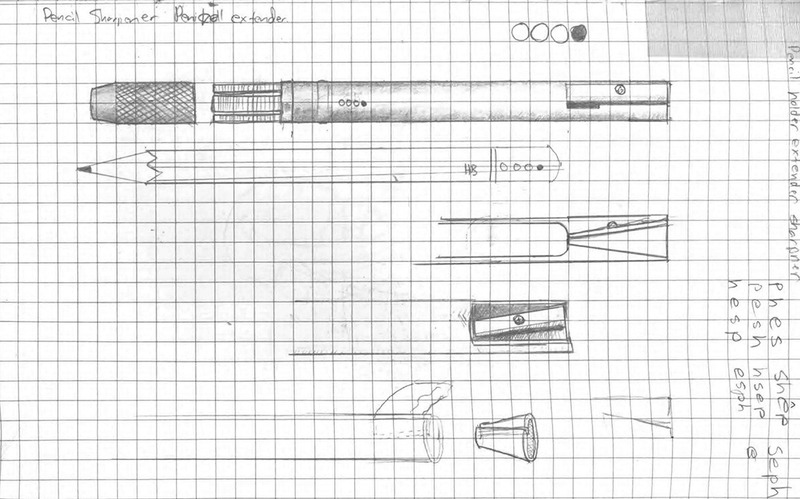 Andrew plans to sell the Pencil+ at €50 ($60 USD) each. The Kickstarter campaign will be live soon but until then you can see the Pencil+’s features, animated visuals and origin story on the website.